This beautiful fibre is used in enlightened hospitals, hospices, care facilities and homes all over the world principally because it keeps people comfortable in all seasons and can greatly help reduce the chance of acquiring pressure or bed sores. can absorb moisture up to a third of their weight, yet maintain a stable body temp. 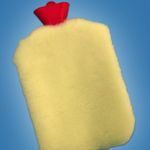 All the wool and sheepskin products that Living Room Pharmacy sells are machine washable. 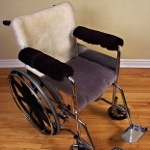 Patients confined to a wheelchair or bed appreciate the comfort and pressure relief that wool pads provide for the back, heels and elbows. 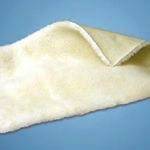 Our Sheepskin or Wool Pile Heel Protectors and Elbow Protectors are designed especially for patients with fragile skin and vulnerable to pressure sores. 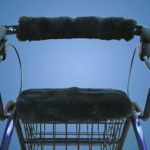 People using canes love the breathable comfort that sheepskin handgrip covers offer in winter and summer, and folks who use rollators always enjoy the extra comfort, support and breathability of sheepskin walker seat pads. Sore toes? Try our reasonably-priced, breathable wool roping to weave between those tender tootsies after surgery or to reduce pressure on corns; dancers pack it in their ballet slippers, too! Living Room Pharmacy sources its sheepskin and wool pile products from The Wool Table, a Canadian manufacturer and distributor. We are very happy to help you with special orders to fit your particular needs, so please contact us for more details and help after browsing these pages.